Where is paradise: at the end of the earth or at home on the sofa? For many, the word paradise conjures up images of a sunny beach with palm trees. For others, it might mean pristine nature, a lively city with much to see and do, lazing in a hammock, or relaxing anywhere with a cool sea breeze. All of these versions of paradise can be found in the tropics. Tropical regions around the globe have always offered an extraordinarily diverse range of impressions and inspirations. Yet only recently have countries such as Brazil, Colombia, Thailand, and Australia begun to gain international recognition as go-to sources for contemporary design ideas. Today, the tropics offer style aficionados at least as many, if not more, new things to discover than classic design destinations such as Italy or Scandinavia with their established brands. Living Under the Sun is the first comprehensive showcase of modern tropical living styles and their designers. Presenting tropical interiors at the nexus of timeless tradition and self-confident freshness, the book brings their colors and elegantly easy-going ambience to life. It captures the refreshingly different coziness of rooms that seem to flow seamlessly into the exteriors surrounding them and are thus ideally suited to local climates and weather occurrences such as tropical storms. 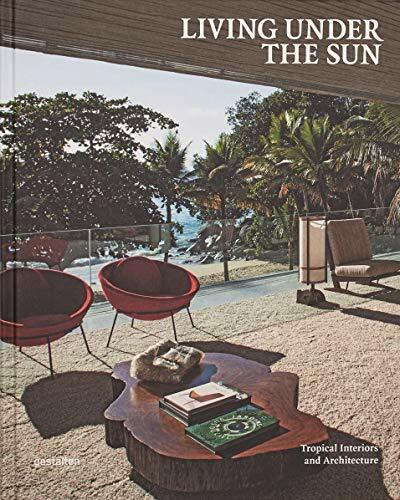 Living Under the Sun features striking living and working spaces in Asian, Latin American, and Australian homes and villas that meld aesthetics with functionality in exceptional ways. The book also explores the myriad stylistic devices that characterize tropical interior design such as precious woods, natural stone tiles, colorful glass mosaics, and abundant vegetation in the form of orchids, ferns, and other lush plants. It includes stunning examples of shady green patios, stylish terraces, and enviable gardens. Readers of Living Under the Sun are sure to revel in the tropical charm of the book s select interiors, décor, and design. Perhaps they will even be inspired to create their own paradise at home.